Rather than posting a lot of posts to catch up on things, I am making one. Hopefully I can keep it somewhat short while still sharing what we’ve done. So here it goes. 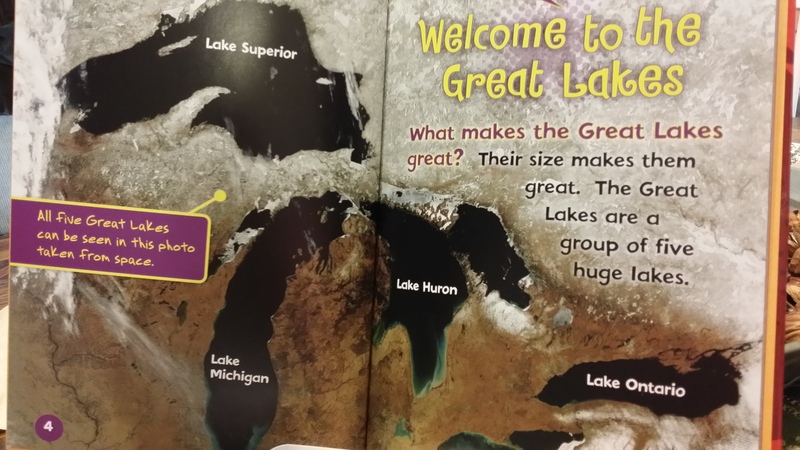 We checked out a book from the library on the Great Lakes. It was interesting seeing how they look from a satellite and facts about them. 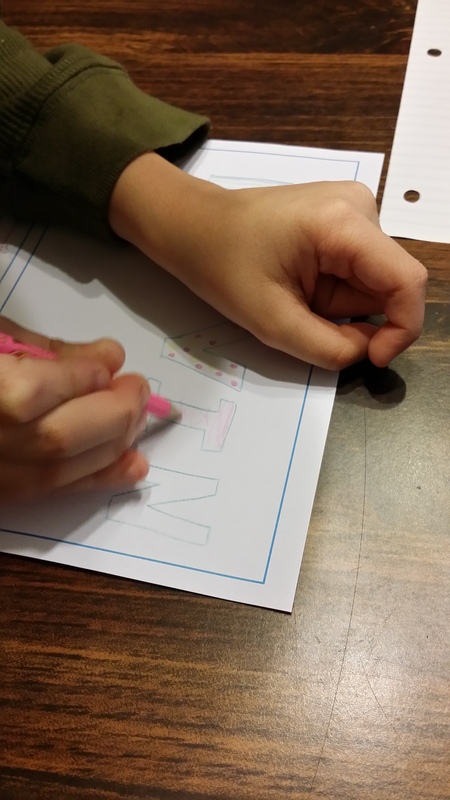 We did a bit of tracing and labeling. We will be adding things to our page as we go. 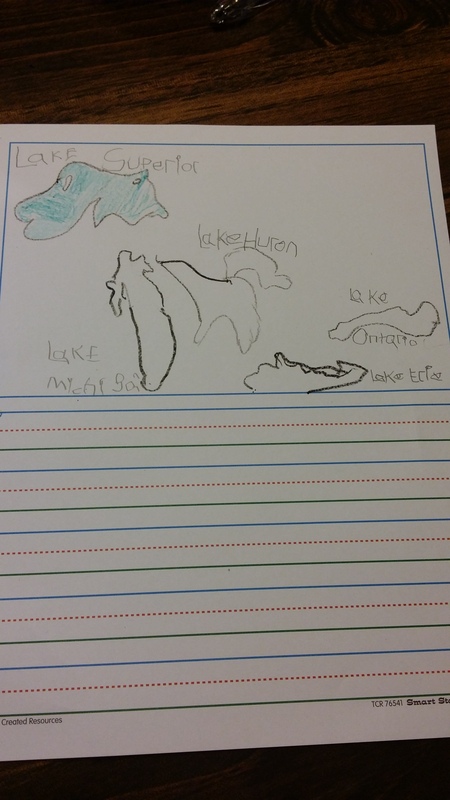 We also listened to a video on YouTube that sang a song about the Great Lakes. Next we read about sawmills. We looked at a video on YouTube that showed old loggers in the river and how they pulled the logs up for the sawmill. 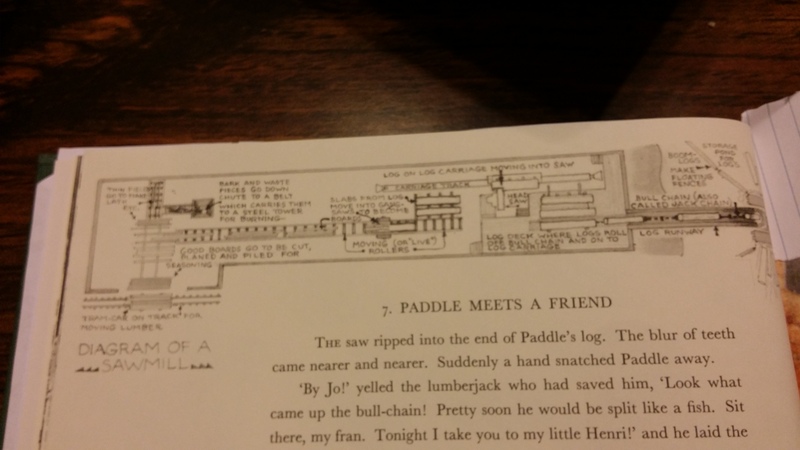 We also looked at a book from the library about sawmills which interspersed real photos with drawings. We didn’t go through the information but manly looked at the pictures. I don’t have any pictures for these since right now we are just reading. We did do some listening using Libravox. I hope I got that right. We enjoyed hearing them read by someone else as a break from hearing my voice over and over and over. I’m sure someone has to feel this way to. I do prefer to read them to him so we can cuddle on the couch together. We’ve gotten almost to the end of book one, Apples. I don’t have photos for our last couple of lessons as we have read them and moved on. We’ve gone slow through this first book even though he is ahead of the material. It has been gone for D since we are using a totally different method for math. We’ve been doing twice a week with the in between days being for practice or an activity or library book. We have missed math for a week or so. He is getting comfortable with our less rigid and non computer format. We will be moving on to the next book, Butterflies, which seems to have much harder material in it as well as good review. D loves reading about all the adventures Fred has and how smart his doll Kingie is. He enjoys the weird sense of humor sprinkled in the book. We do some of the practice questions on paper and others we skip or do out loud. So far he has liked learning about ellipses as well as evergreens & deciduous trees. I’ve also noticed he is telling time better. He loved learning about fractions and uses what he has learned while playing with legos or cooking in kitchen with me. 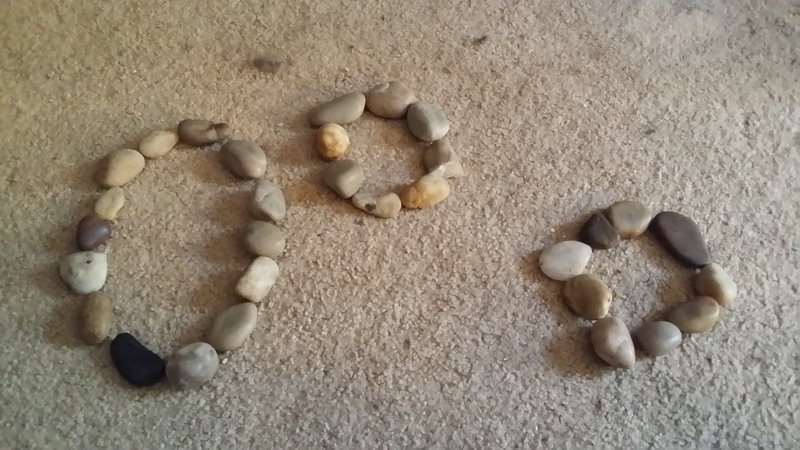 Here is a photo of building circles and ellipses with rocks and of him doing a fractions activity using his name. That was both grammar and math practice! That’s it for now. Check out our weekly school updates on Fridays. I’ll be sprinkling some random postings in because sometimes things just need a post of their own.